The great saint "Swami Darshnanand Saraswati" established Gurukul Mahavidyalaya in the year 1907 on the bank of Holy River Ganga which is managed by the registered society "Mahavidyalaya Sabha" that runs a mix of oriental and modern courses to cater to the needs of students from various sections of society. Keeping in view of Specific demand for the professional education in Haridwar "Swami Darshnanand Institute of Management and Technology" was launched under the aegis of Mahavidyalaya Sabha. As there was no facility for the girl's students of Haridwar and adjoining areas to enroll in the professional courses like MBA, BBA, and BCA and they had to run to far off places for this purpose. SDIMT started such courses under one roof. In the year 2009 a new campus was developed to specifically impart professional courses and Two year Full Time MBA Program was launched getting approval of All India Council for Technical Education (AICTE), New Delhi and affiliation from Uttarakhand Technical University, Dehradun. 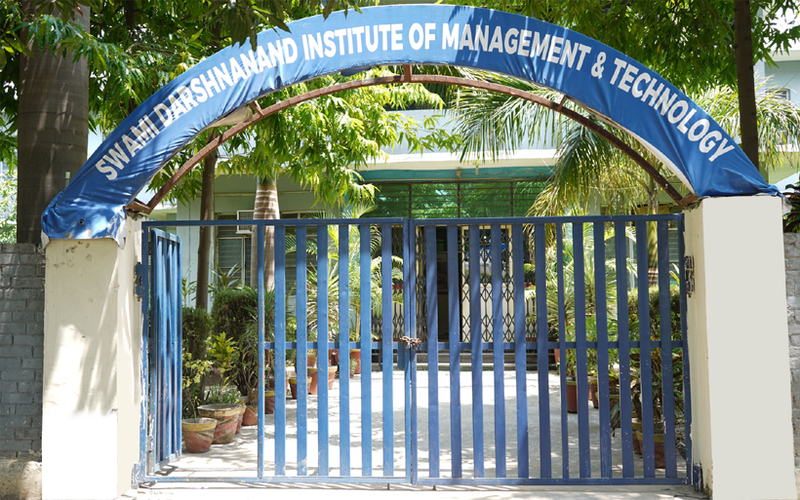 Expanding its wings SDIMT has also added Bachelor of Business Administration (BBA), Bachelor of Computer Application (BCA) and from the session 2010-11.